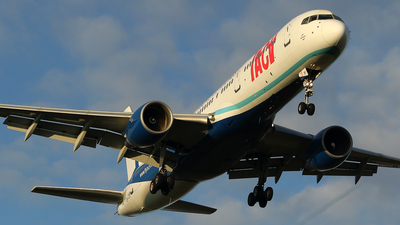 Note: Departing on runway 03. 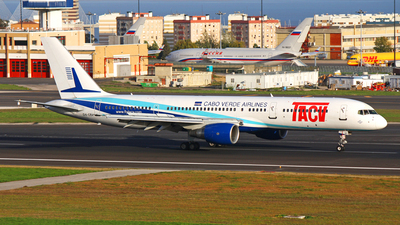 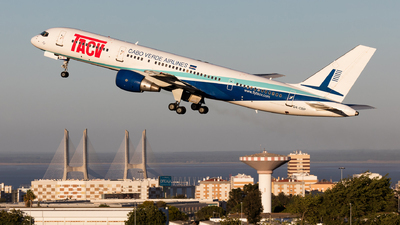 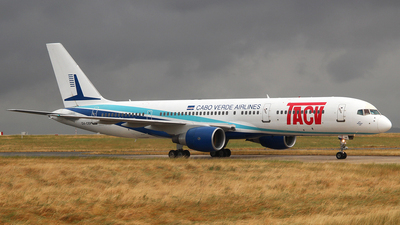 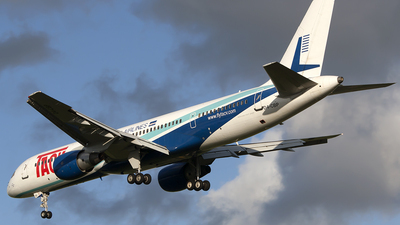 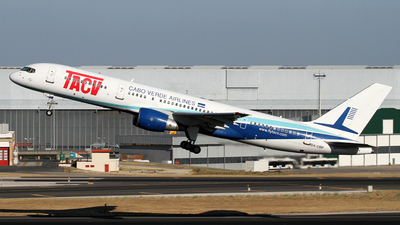 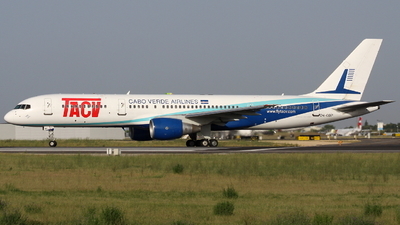 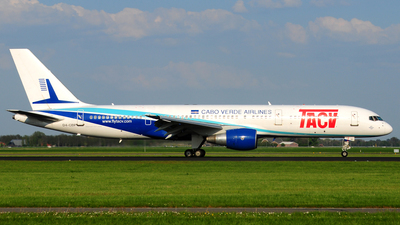 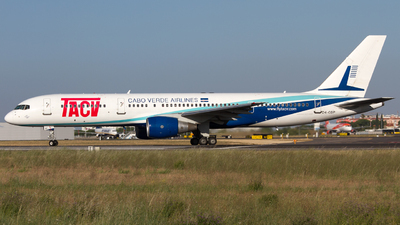 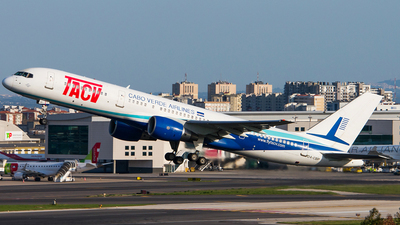 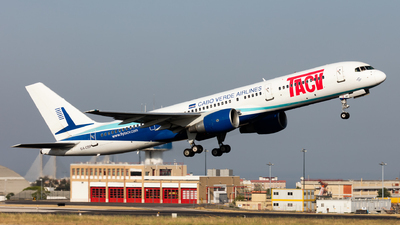 Note: "TCV062" reversing on RWY 21 from Espargos (SID/GVAC) with two IL-96 parked on background. 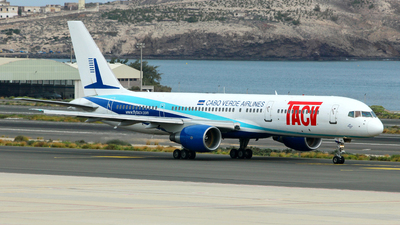 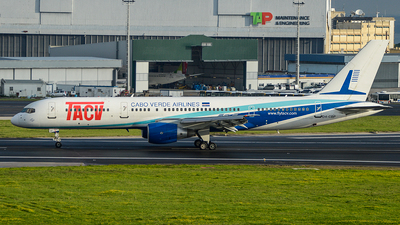 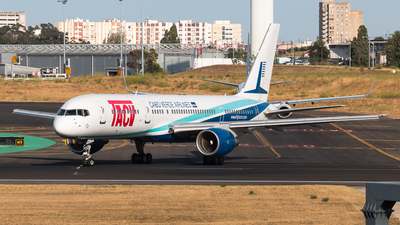 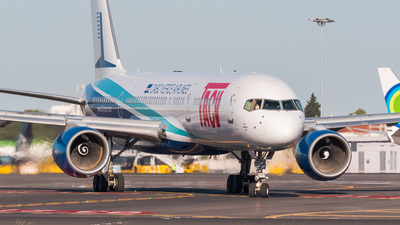 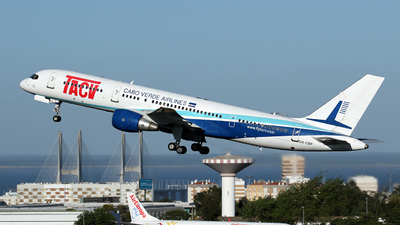 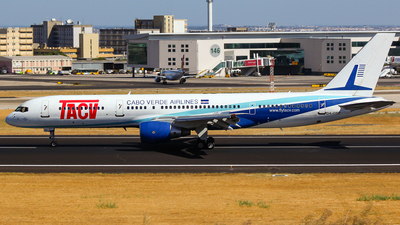 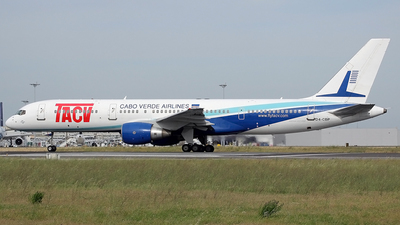 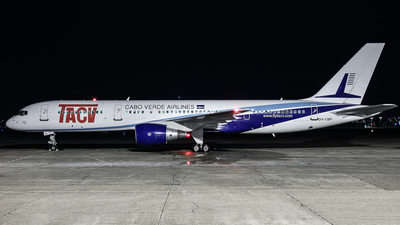 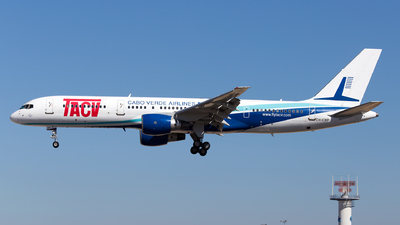 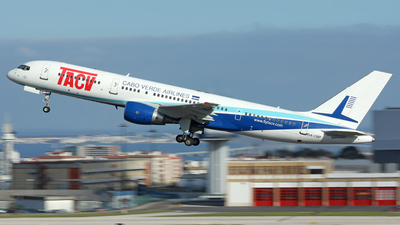 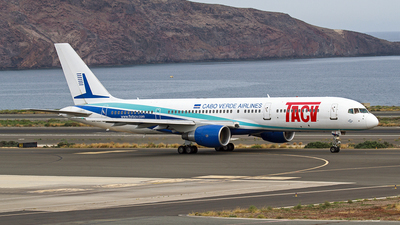 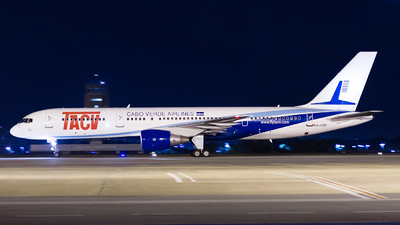 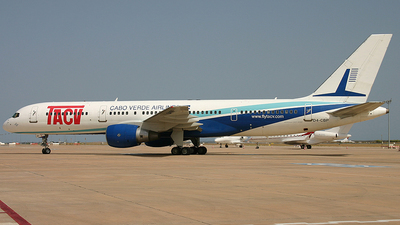 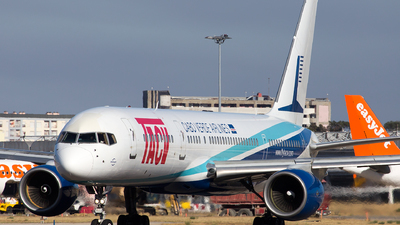 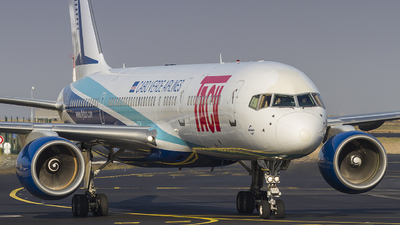 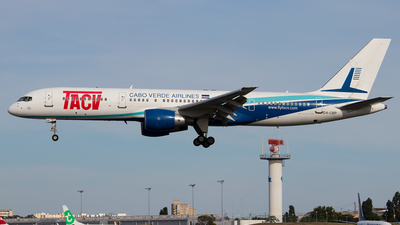 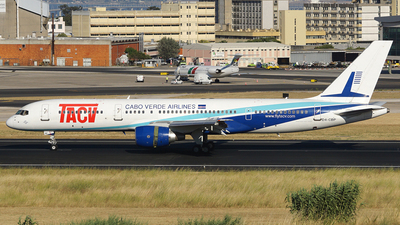 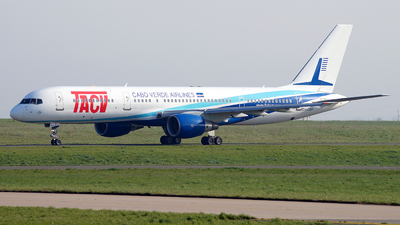 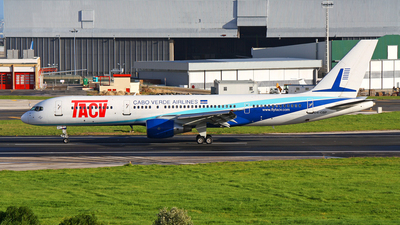 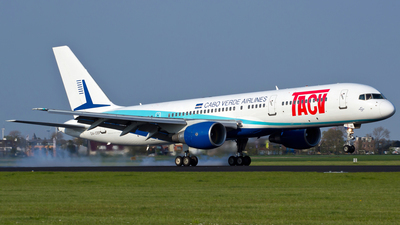 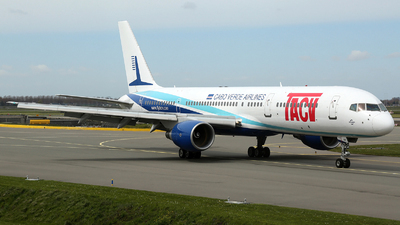 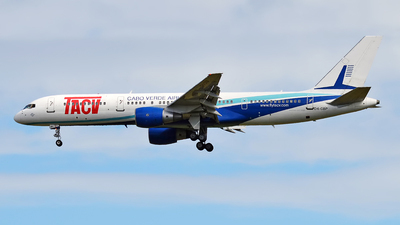 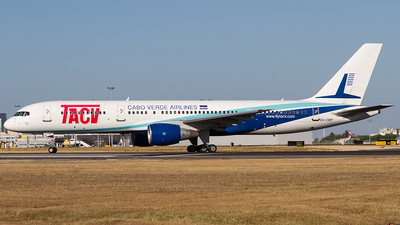 Note: Nice colored 757 taxing to the gate after arrival from a rather short flight from Espargos in Cabo Verde. 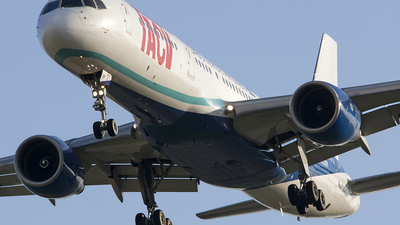 Handheld at 1/25. 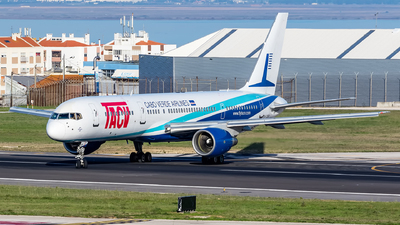 Note: Built in 2001 as N301AM for Aeromexico, Seen slowing down on RWY 03 at Lisbon Airport (LPPT/LIS) arriving as TCV221 from Sal (GVAC/SID). 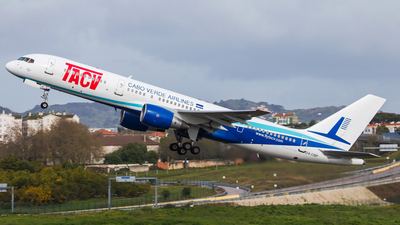 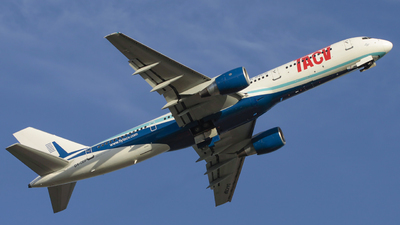 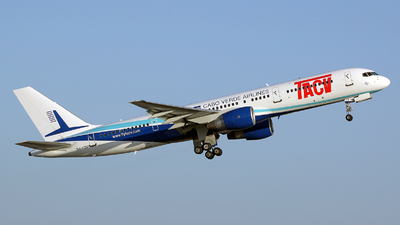 Note: Both this type and livery are in the process of replacement, as Portugalia is rebranded as TAP Express and the Fokker 100 will be replaced by the Embraer ERJ-190. 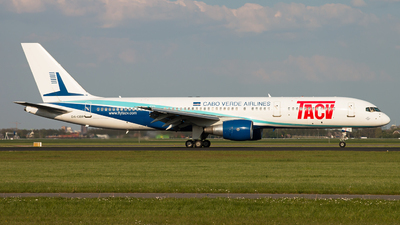 Flight TP658 from Oporto during landing at the Polderbaan (runway 18R). 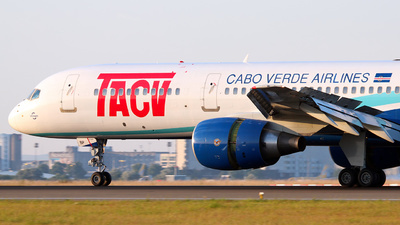 Note: [1200px] Rocketing out of runway 21 as TCV004 to Praia, the capital and largest city of Cape Verde. 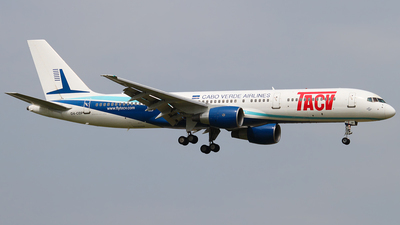 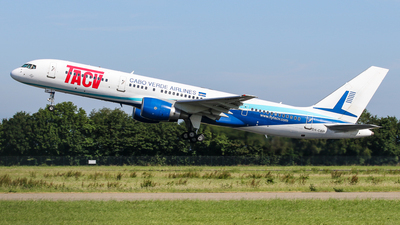 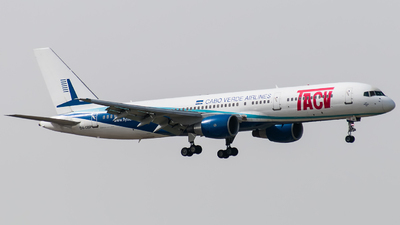 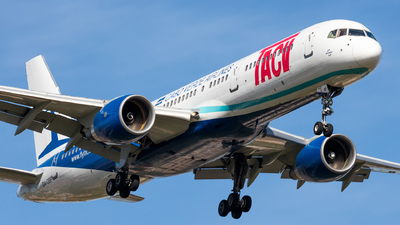 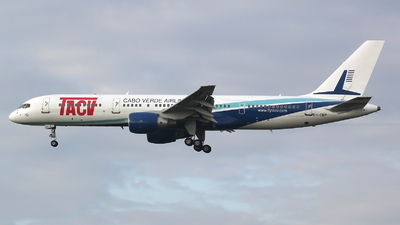 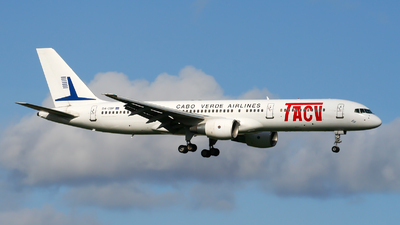 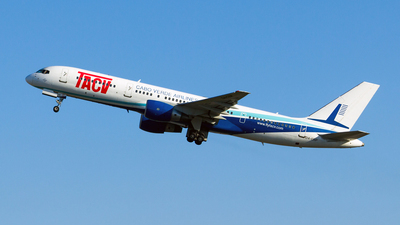 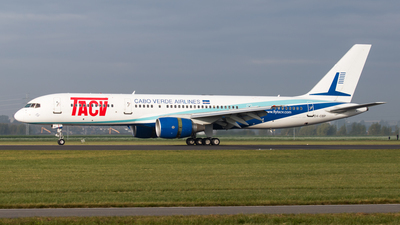 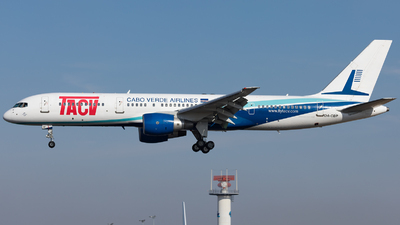 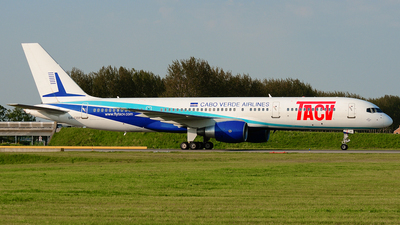 Note: TACV used to serve Amsterdam in the past, but the airline decided to switch to Rotterdam instead. 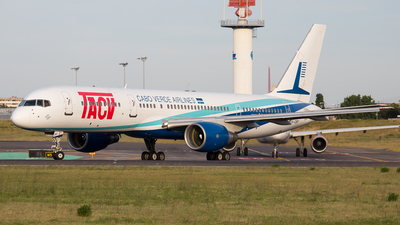 Here, the company's sole B757 is ready to taxi for departure to Paris CDG prior heading back to Sal-Amilcar Cabral Airport.